Most of us live a really busy lifestyle. We work, we travel, we play. We’re active for most of the day, we spend a lot of time in motion, and we’re constantly stimulated by technology. Much of our modern lives (and much of modern yoga) are very yang — which means: much more on the active, solar, doing, moving side of things. 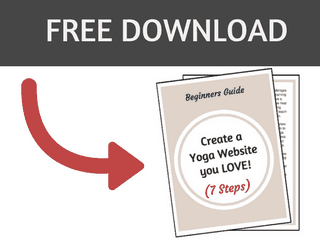 Yin yoga is the antidote to our yang-focused culture. It’s a slower moving practice that focuses on stretching the deep connective tissues in your body (ligaments, tendons, and fascia), rather than the muscle tissue. 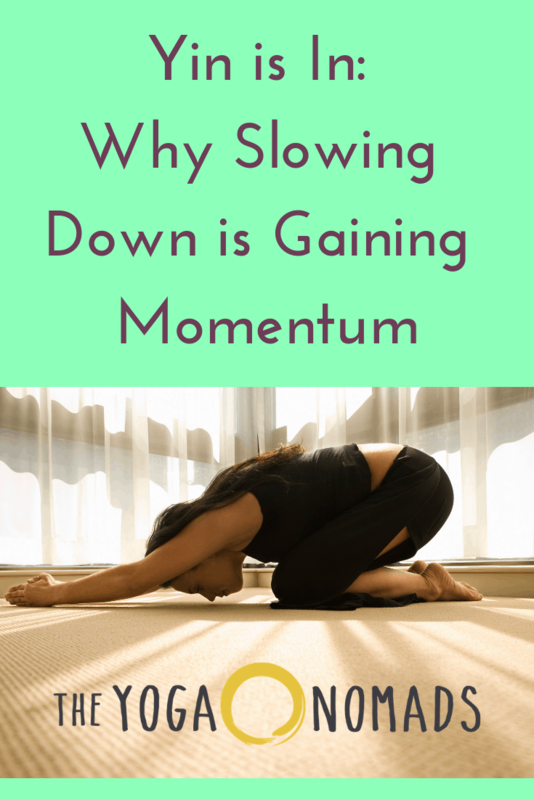 It’s all about slowing down, giving your body a chance to restore, and getting deeper into not just your physical body but your emotional body as well. Yin yoga works with your meridians and deep connective tissue to clear blocked energy and stuck emotion. 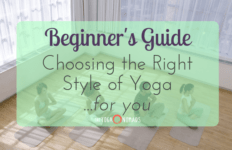 I often hear people say that yin yoga isn’t for them because it’s too “easy,” or that it’s a practice for beginners. My response is, have you ever spent 5 minutes in pigeon pose?! 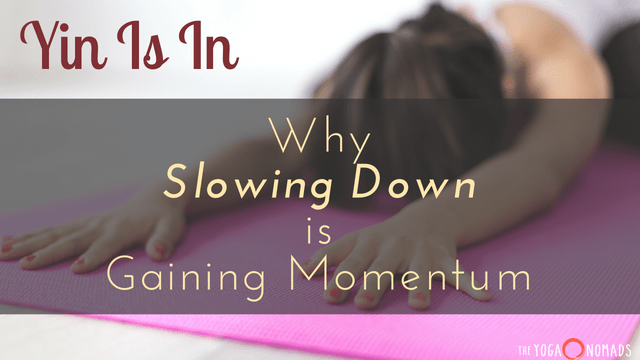 Yin yoga may be slow, but that doesn’t necessarily mean it’s easy. It can be a deep practice of presence, of surrender, and of showing up to do the deep emotional work that needs to be done. Physically, depending on the posture, it can also be challenging. The beautiful thing is that you get to choose how deep you go into a pose, using modifications, blocks, bolsters, and blankets to help you get there. In yin yoga, you hold poses for about 3-5 minutes each. In yin yoga, you work with your connective tissues instead of your muscles. Yin yoga stretches your connective tissues in order to strengthen and lengthen them. Rather than the traditional stretching of muscles in yang style yoga, connective tissue is best stretched with a slow, steady weight– which is exactly what you give your tissues when you hold a yin pose for a long time. These connective tissues are found all over your body, but they’re most concentrated at your joints. 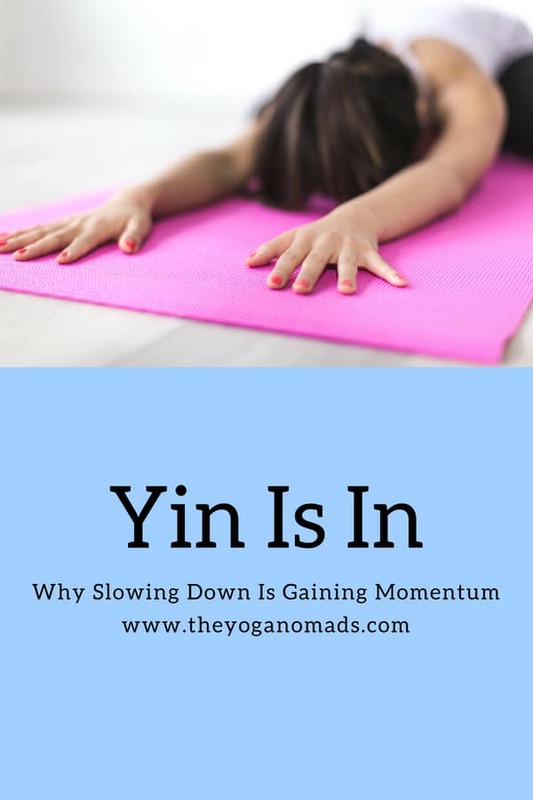 That’s why a yin practice can help you increase your flexibility in areas of the body where we may not think it’s possible– like the hips and low spine. But in order to stretch your connective tissues, the muscles around those tissues have to be able to relax. 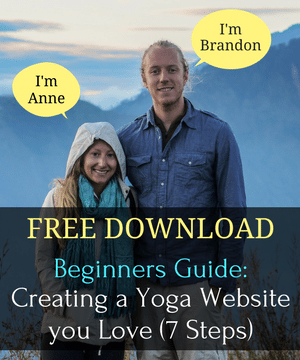 For some poses (like crow pose, for example) that’s not possible– so every pose can’t be done in a yin style. 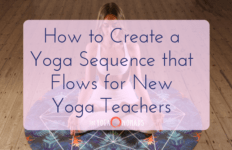 The main connective tissue that yin yoga focuses on working with is the fascia. In simpler terms, the fascia is what holds us together. It’s the structure that gives our bodies form. 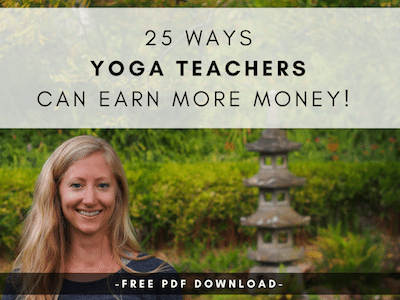 It’s also a part of our body that holds psychological and physiological trauma (to learn more about yoga for trauma, click here). Increase strength and flexibility. Healthy fascia is springy, strong, and fluid. When our fascia is healthy and strong, it helps our muscles move more efficiently and our body find more strength, space, and flexibility. Improve joint mobility. Since our connective tissues support our joints, strengthening and stretching them helps keep our joints healthy and mobile. When our connective tissues don’t get stretched, they become tight and rigid. But when they’re able to lengthen and relax, our joints get stronger and more flexible. Improve our posture. A tightness in your connective tissue in your ankle can have an effect all throughout the body up to your neck. Everything is interconnected with this web of tissue, and stretching your fascia can help improve your posture throughout your whole body. Release trauma and emotion in the body. Like I said above, our fascia actually holds trauma and emotion. When we stretch and lengthen our fascia, we allow that trauma and unfelt emotion to release. If you’re interested in learning more about the mind-body connection of your fascia, check out this interview with anatomy expert Tom Myers. Image from The Journey Junkie. Yin yoga works on an energetic level, not just a physical level, by working with your body’s system of meridians. The meridians are energy channels in your body that traditional Chinese medicine has studied and worked with for centuries. These pathways allow the flow of energy, called chi, through the body. Each of your 12 major meridians supports and nourishes a specific organ system. If the flow of energy in any of your meridians is too strong or too weak, the associated organ system may be disrupted. Yin yoga helps stimulate and release blockages in these energy pathways to balance your internal organs and systems. 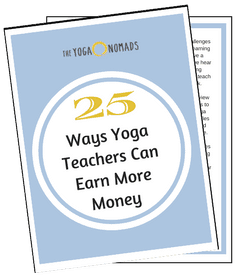 It’s easy to see why more people are practicing yin yoga than ever. Yin yoga can be a beautiful complement to your more yang practice, and practicing it consistently can help you realize all of the benefits I’ve mentioned: increased strength, flexibility, and posture, release of emotion and trauma, and a balancing of your internal organs and systems. To me, yin yoga is a big part of my self-care practice. I don’t view it as exercise, but as something to help me slow down, unwind, and let myself be still and silent for an hour or so in a world where I spend most of my time running around doing things or working in front of a screen. 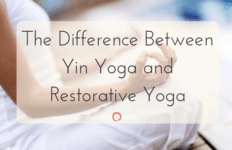 What are your thoughts about yin yoga? 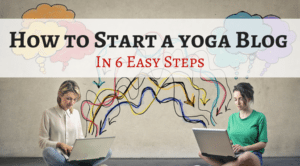 Do you practice it regularly, or are you interested in going to your first class? 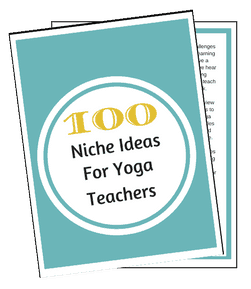 If you’re thinking about becoming a yin yoga teacher but worried about putting yourself into one category, check out this post to learn why developing a niche is actually great for your yoga business.